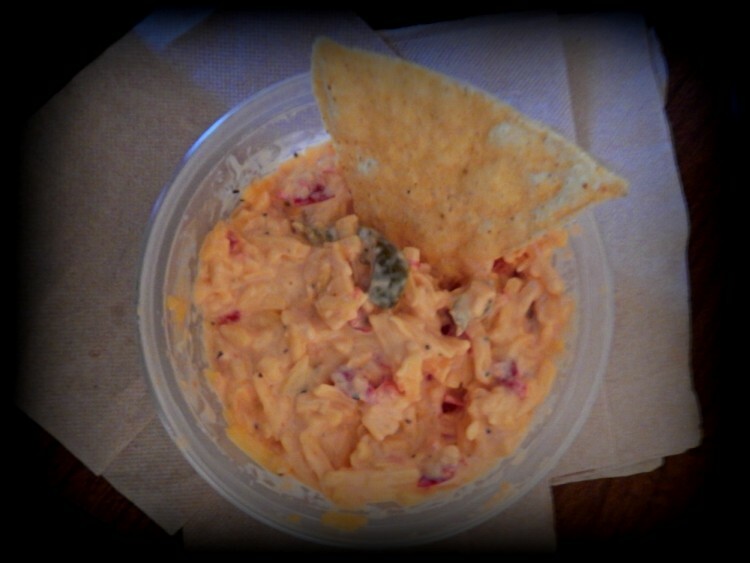 Pimento cheese is a common fixture in Southern comfort cuisine. A simple spread made of cheese and mild spices, sometimes referred to affectionately as the caviar of the South. Scooped onto vegetables, spread on crackers or sandwiches, and often mixed into other foods, it is popular with the locals and prized during summer picnics. But, for many, outside of the South, it is a strange, acquired taste. Unique and foreign. Recently, while sitting vigil for a survivor, we tried a version with jalapeños, foreign to the standard mixture of pimento cheese. (Tried only because it was free, donated to a hospital hospitality house and we were hungry.) But, in partaking, it exploded with texture and layers, full of spicy goodness. Taking something comfortable to another level. Now, we seek out this pimento cheese with a kick when we want something familiar, yet slightly different. Life needs to have spice in it. We all need a little flair sometimes to help us take notice. It is easy when struggling with trauma or illness to become complacent and accept the status quo. To hide in our comfort zones. To sit back and let what is happening to us run its course. It is human nature to hunker down with what we know and trust during times of turmoil. But, sometimes it is vital we mix things up and contemplate adding a kick. Change things up to find something else that will work or come at our views from a different direction to find other solutions. To do so can aid in clarity, change perceptive and perceptions. It can help us find another path to our intended destinations. It can also expand out, making our safety net wider and more secure. Don't be afraid to leave your comfort zone while struggling to survive. Add spice to your life and be open to changes which can enhance your survival.